I certainly believe in taking breaks but who has time? 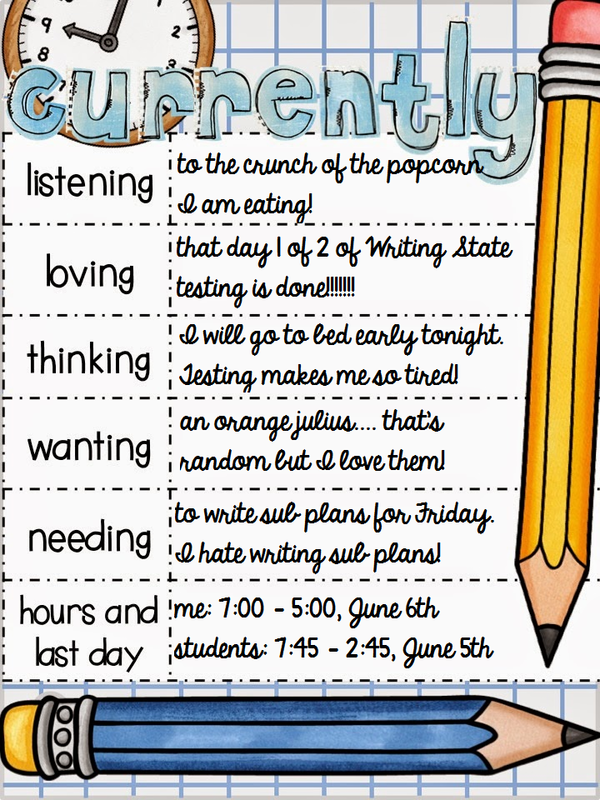 I teach 4th grade and we have four days of state testing, a timeline to stick to, and so much to teach...... ain't nobody got time for that! I sometimes stopped for a quick joke or a stretch break but nothing really fun and engaging until GoNoodle! I know that sounds like an infomercial or something but I promise you its not. You know me, I am honest with my reviews, I don't sell anything, and I give away the stuff I do make so I promise I am not making this schtuff up! I went to a workshop where someone mentioned doing brain breaks with her kindergarten class. She mentioned how she told her kids to stand up and they would do the hokey pokey and other fun chants like that. Well, I thought it sounded fun but again.... ain't nobody got time for that (in 4th grade)! After the holidays my team decided to give a released state test to see how much stamina our kids had. Forget the kids, I couldn't stay still and quiet for 4 hours (that's how long our state test are). This years class is no different from any other I've had but from some reason it hit me....... we need breaks! OK, OK, maybe I am a slow learner but after 10 years of teaching testing grades I realized that my little froggies need a break! So what's a girl to do...... yup, I googled brain breaks for big kids. Long story short (too late for that, right?) I found GoNoodle. My students and I absolutely LOVE GoNoodle! Who wooda thunk that a free website with all sorts of activities would be the answer to my prayers. Okay I may be exaggerating a little, I've never prayed for brain breaks but I have prayed for a shirtless Adam Levine to wake me up every morning with a cup of coffee and a smile. Sorry, back on topic! I started using GoNoodle in my classroom and haven't stopped! They have "breaks" to calm a crazy classroom and also breaks to energize sleepy students. I registered my class and we all picked a champ! Here's a pic of our little guy, cute, huh? He's a very smart guy! He shares his words of wisdom every time we log on. Our champ is growing! Look how big and strong he is now! There's so much more to explore. 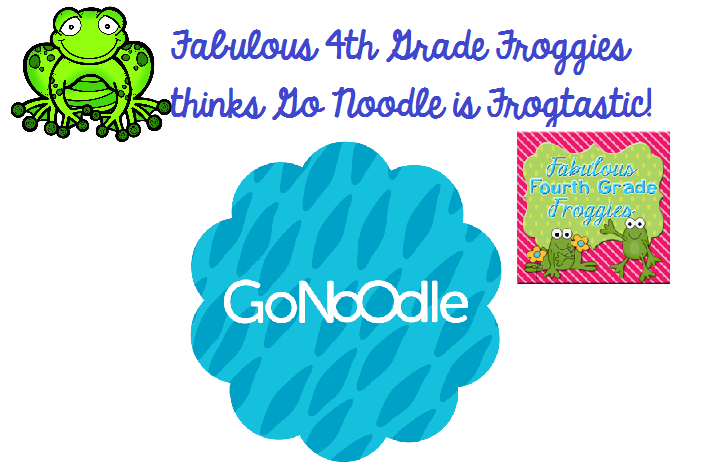 You NEED to go visit GoNoodle and see what its all about. I am not sure if it was their intention or not buuutttt this is the best bribery tool eva!!!!!!!! Want your kids to sit quietly and read? Just promise a brain break! Want your kids to walk quietly in the hall? Yup, you guessed it.....bribe with a brain break! "Yay, every single student did their homework for the entire month! Let's celebrate with 10 minutes of brain breaks!" I'm not proud but ya gotta do what ya gotta do! Click HERE and take two seconds to register your class and come back and let me know what you and your students think! Some Easter Freebies for my Peeps! 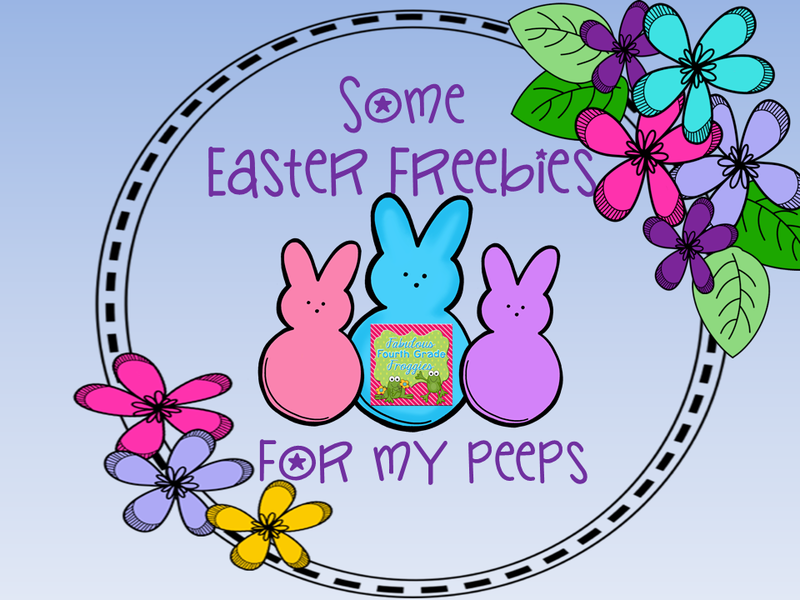 Just a quick post to share a few Easter freebies I made a year or so ago. :) Hope you can use them! Today was day 1 of 2 of our Writing state assessment (STAAR)..... talking about April Fools! No one played any tricks on me but maybe because they were testing all day. Lucky for me, not so lucky for them. The first of the month means many things to many people but for Farley Fans (Oh Boy 4th Grade) it means it's time for Currently! Usually I try to be one of the top 5 to join the FAB-U-LOUS linky but with stressing preparing for the state test, I just couldn't. I'll try again in May. I am waiting for The Voice to come on so I thought I would make some popcorn....... its not so great. I really felt like eating movie buttered popcorn but instead its microwave 94% boring! However, it freakin' crunchy! I am crunching away and that's all I hear! Today we finished day 1 of our two day Writing tests.... glad it's over! I feel so sorry for my little froggies who do everything they can to sit still and quiet for 4 hours and "show what they know". Heck, its impossible hard for me to sit quiet for 30 minutes!!!!! I'm thinking I'll go to be early tonight but like usual I will probably get a second wind around 10 and go to bed late.... then complain that I don't get enough sleep. I'm wanting an Orange Julius.... yup, an original Orange Julius! Dairy Queen sells them and if I nag enough play my cards right my hubby will go get me one. What other job requires you to do more work to be absent than not being absent? Yes, you guessed it, a teacher! I am going to be out Friday.... nothing exciting, just a doctor's appointment but its mid day so I couldn't even take a 1/2 day. What does that mean.... that I have to write sub plans! I'm not complaining, I could use a day off but writing sub plan stink! Luckily I got a very fabulous sub to come in for me so that makes it a little easier. At my school, if you have morning duty you have to be there about 7:15 but students don't come in the classrooms until 7:40. I let my kids in from the hall early to get a head start on the day... plus I have a student get me ice from the cafeteria and another to get my mail from my mailbox... but everyone else gets ready for the day. :) I am usually at work by 7:00. Our day starts at 7:45 with announcements. The kids have 45 minutes of a special rotation (PE, Music, Art, and Computer) at 10:10... that is when I have my conference. The kids have a 15-20 minute recess and then its lunch time for both the kids and me at 12:10 - 12:40. I usually eat with my team in the teacher's lunch room.... we act like we are 10 and laugh our heads off. I will admit, we are the most immature and perhaps loudest team, but we are the funnest (and BEST, if you ask any of my team members). The dismissal bell rings at 2:45. I usually end my day at 5:00ish but I am going to try to start leaving around 3:30 or 4:00. On Wednesday I sponsor the Solar Car Club and that ends at 4:30 but on those days I will leave right at 4:30. I usually don't get too much done after school except talking.